Alan Clay (Hanks) is a blundering business consultant in a mid-life crisis: his marriage has crumbled, his beautiful home is gone, and his daughter’s college tuition fees are at risk. 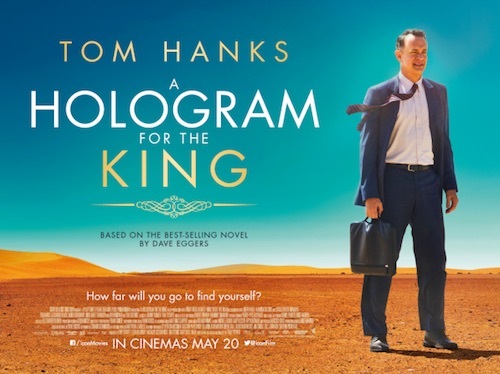 In a last attempt to save his skin, he travels to Saudi Arabia hoping to sell a virtual reality communication system to an elusive king. However, these hopes become frail as each morning brings with it new problems and disappointments. The estimable Hanks is ably supported by Black as his genial yet buffoonish chauffeur, and Choudhury as an alluring Saudi doctor. This Review is courtesy of a new source to David Lean, Cinemablend: here.